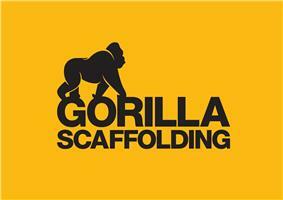 Gorilla Scaffolding - Scaffolder based in Birmingham, West Midlands. We are one of the leading scaffolding companies in the Midlands providing safe and reliable scaffold services for projects of all shapes and sizes including commercial, domestic and industrial. We can also provide temporary roofs and access/scaffold towers to assist you further with your project. Our team of scaffolding experts have over 30 years of industry experience and we pride ourselves on our friendly and bespoke service which strives to deliver exceptionally high-quality and safe scaffolding so that you can focus solely on completing your project without any risk or delays. All of our services use the advanced technology of the HAKI system scaffold which is how we set ourselves apart from many other scaffolding companies. It enables us to work with speed and precision without compromising safety or quality. As part of the Safety Services Group, you can rest assured that your project is in safe hands when you choose Gorilla Scaffolding.